Custom built 2 story home, with great curb appeal. The main floor has a gorgeous custom kitchen with maple cabinets, large center island, 2 breakfast bars, walk in pantry and lots of unique cabinets for storage. In addition to the eating space in the kitchen there is a separate dining room. The great room is fabulous with a large stone fireplace to enjoy cold winter evenings. The main level is perfect for entertaining or just relaxing with your family. The upper level has a large master bedroom & adjoining bath with double sinks, custom shower and separate jetted tub, making the perfect place to end you day. Two additional bedrooms & bath completethe upper level. The lower level is partially finished giving lots of options for living space and storage. 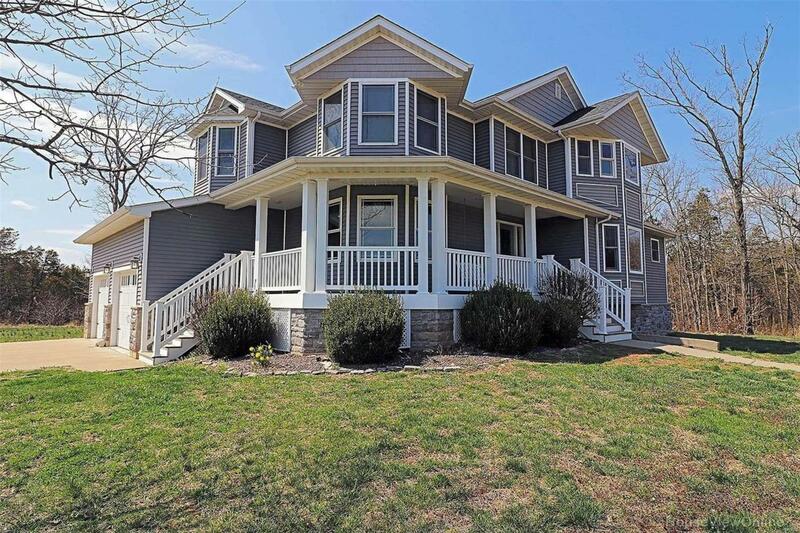 This home has so many great features including, location, wrap around porch, deck, unique main floor laundry, 2 car attached garage and many other features you just have to see. Call for a showing today!